I started my career in Canada before being drafted State side where I've made the transition from print advertising to web and now taking a shot at mobile. 2018 - That's a Wrap! — Some of what I worked on over the course of the year. 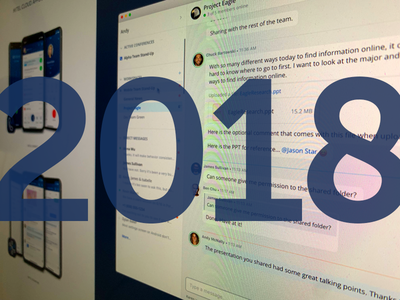 Two mobile apps and a desktop app for team collaboration. Enjoy! ShoreTel to Mitel Rebranding - Blue (Da Ba Dee) — ShoreTel was acquired by Mitel a few short weeks ago. As a result I had to rebrand everything to the Mitel blue. The dev team did an outstanding job turning this around in such a short time. Sweet Suite — It's all starting to come together. 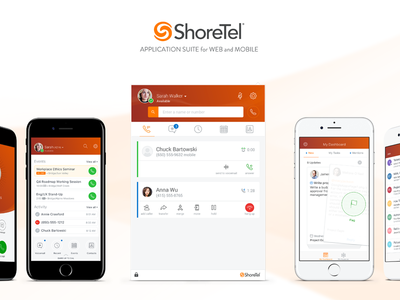 A unified UI across all ShoreTel applications. Now on to tackle the Desktop app. 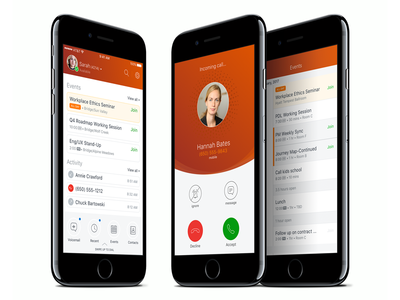 ShoreTel Connect iOS Screens — A selection of screens from the new app. 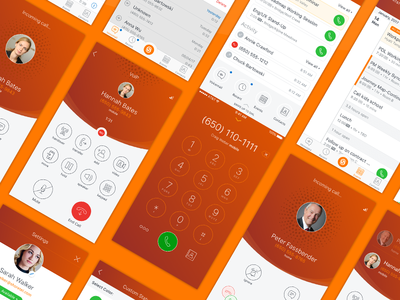 Shoretel Dialer — Animation from the dashboard to the dialer. Introducing Radar — Radar will help you find restaurants and things to do in your local area or on your next trip. 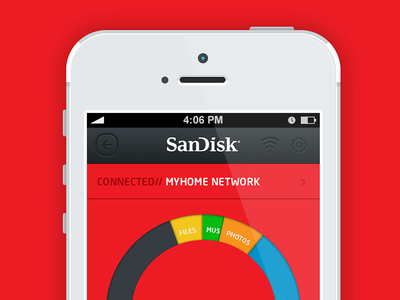 It will also organize your flight, hotel and car rental details and keeps you notified of any changes. Check it out (U.S cities only – for now) https://itunes.apple.com/us/app/radar-travel-smart/id1107752959?mt=8 Shout out to Phurbu for all her great design work on this. 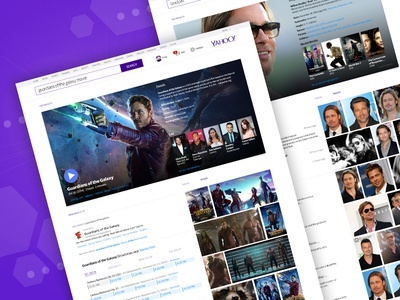 Search Better — More fun stuff from my time at Yahoo! The right column on search pages, based on eye-tracking and research, is often overlooked by users. So, I decided to explore an option that increases the width of the right column and move images and video results into that area making better use of the space with more compelling content. I never got to test the designs -- but they look nice. 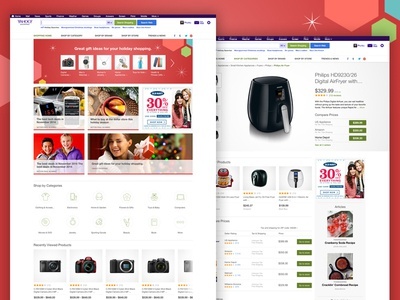 The Yahoo Shopping Site That Never Was! — Came back to Yahoo! in 2013 to take another crack at the Shopping experience only to have our dev resources pulled just when the design was done. C'est la vie. Designed in collaboration with Phurbu Dolma. 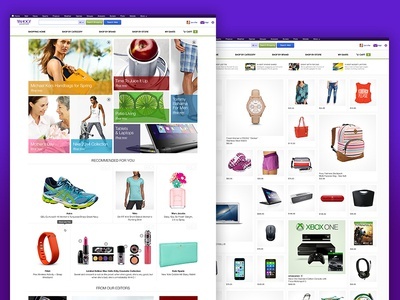 The Yahoo Shopping Site Explorations — A few alternate explorations for the Yahoo! Shopping experience. 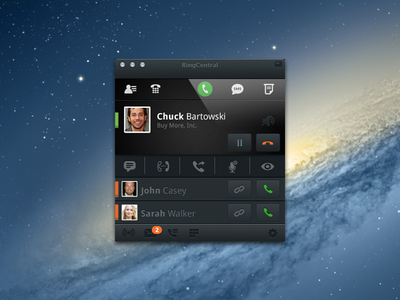 Disconnected - RingCentral Mini Desktop App — A 'little' something from my time at RingCentral that I never got to finish. 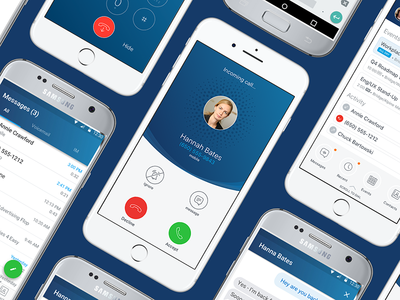 An update to their desktop app for VoIP, SMS and Faxing. Click on the attachment for more views.